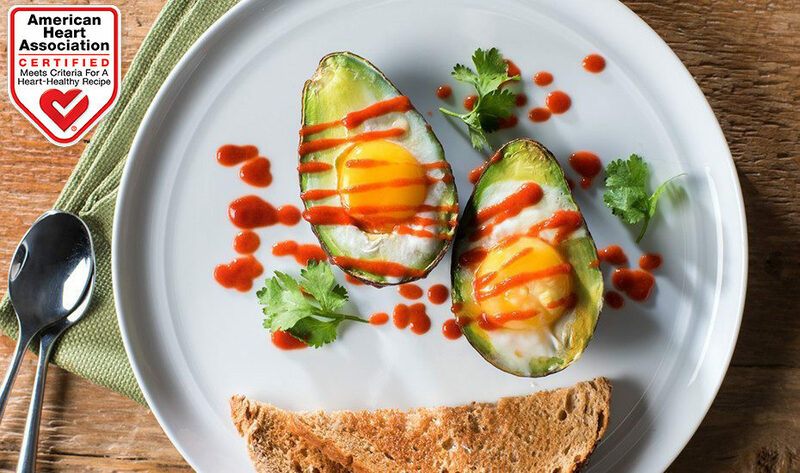 Spice up breakfast with Spicy Sriracha Baked Avocado Eggs, a high-protein, heart-healthy way to start the day. Preheat oven to 425 degrees Fahrenheit. Line 8-inch square baking pan with foil. Scoop out some of the pulp from avocado halves, leaving hole big enough to fit an egg (reserve pulp for another use). Crack egg into each avocado half; season with salt and pepper. Bake for 12 to 15 minutes or until whites are set and eggs are cooked to desired doneness. Let stand for 5 minutes before serving. 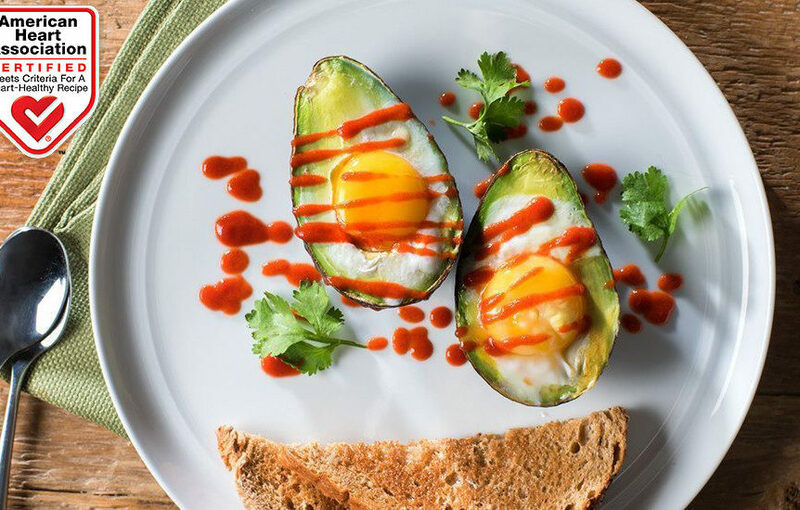 For less-spicy eggs, combine ketchup with sriracha to taste. Substitute green onions for cilantro.